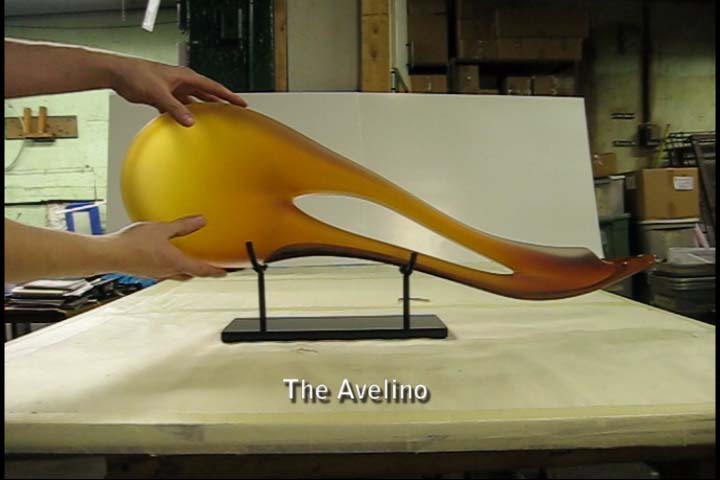 Quick video instructions for stand placement of selected glass sculptures, the Avelino, the Caladesi, and the Montara. Proper placement of the glass on the custom made metal stands is easy, but important to insure the work is secure. If you have any questions about stand placement, please contact us.